A NEW 2016 GRANTURISMO SPORT COUPE. WHITE WITH WHITE LEATHER AND BLACK CARPETS WOOD TRIM AND STITCHING. 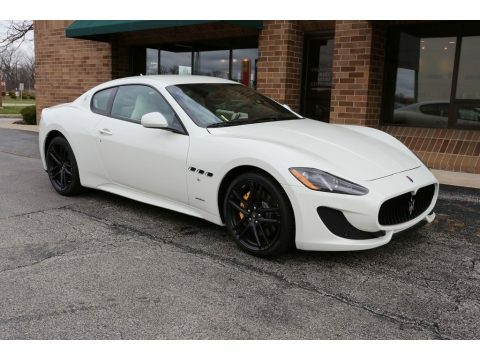 OTHER OPTIONS INCLUDE ALCANTARE PACKAGE AND HEADLINER, YELLOW CALIPERS, 20 MC MATT GRAPHITE RIMS, STITCHED HEAD RESTRAINTS, WOOD AND ALCANTARA STEERING WHEEL, AND CARPET PIPING.